Family tree software. For your family tree and your genealogical research. 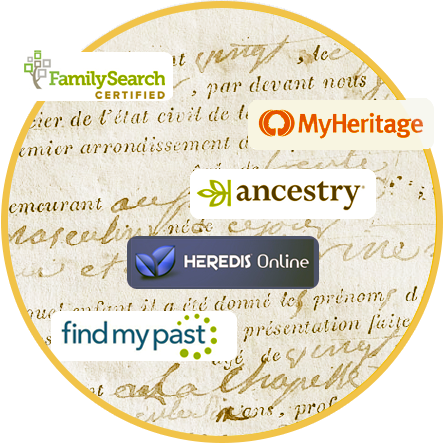 Heredis helps 100,000 genealogy enthusiasts and professionals each day to discover their ancestors and create impressive family trees. From researching documents to analyzing statistics, discover more than 150 features and carry out an incredible investigation to trace back your origins. 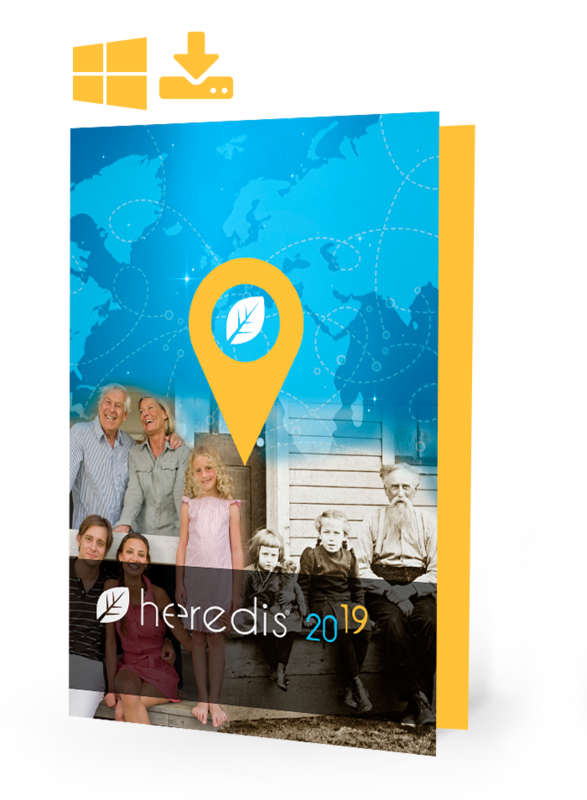 Heredis, the future of your ancestors! Now, are you ready to start working on your genealogy? 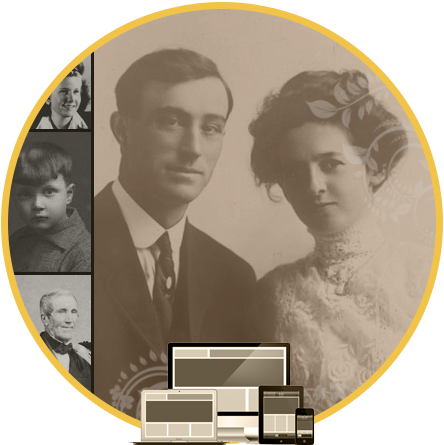 There is no better genealogy software than Heredis to create your family trees and to see your genealogy researches progress quickly. 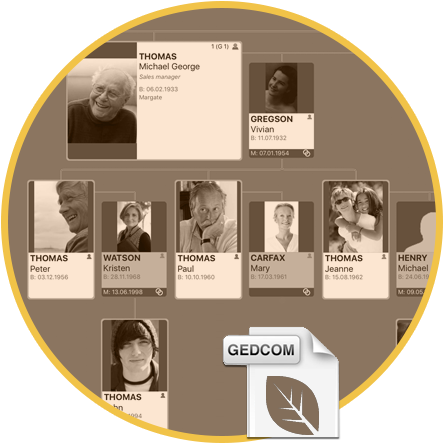 You’ll find more than 150 features in total to help you create, improve, share, and relate your ancestors’ history. It’s a wealth of features that has no equal! Download, install, and start working on your genealogy right away. Dozens of chart formats, designs, settings and options (ancestors, descendants or hourglass types). Launch searches from Heredis using some major search engines, or communicating with FamilySearch. Print and share your genealogy data: charts, illustrated books, personal website, photo slideshows, etc. On Mac and PC, as well as on your smartphone and tablet; FREE iOS and Android apps. Track and follow the progress of your genealogy while publishing meaningful statistics. Capturing acts and records, editing images, indexes, data merging, consistency checking, etc. Our user forum, knowledge base, presentation videos, and a large community of users throughout the world. Any file from any other genealogy software or website can be imported into Heredis. You are not 100% convinced yet? Download new free mobile app. Heredis is largely recognized for its know-how, its self-help community and its software innovations; the quality of its products and services as well as its users’ satisfaction are at the very heart of the Heredis philosophy.